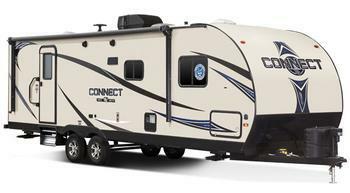 KZRV is recalling 2,382 model year 2017-2018 Sport Trek, Spree and Connect recreational trailers. The trailers may have been manufactured without a 2 amp fuse in the circuit for the awning lights. Without the fuse, excessive current can cause the wire to overheat, increasing the risk of a fire. KZRV will notify owners, and dealers will install a 2 amp fuse assembly as necessary, free of charge. The recall is expected to begin November 2, 2017. Owners may contact KZRV customer service at 1-800-768-4016 extension 154 or 153. KZRV's number for this recall is KZ-2017-06.